Friends, its pleasure to introduce Mentally challenged kid Ram from IIT Flyover. He is of age 15 yrs. He is son of Late Ramdev and his mother sells flowers on flyover. He originally belongs to village Lachchipriya (Rajasthan). In spite of challenging mental situation, Ram tried his best to cope up with teaching schedule. 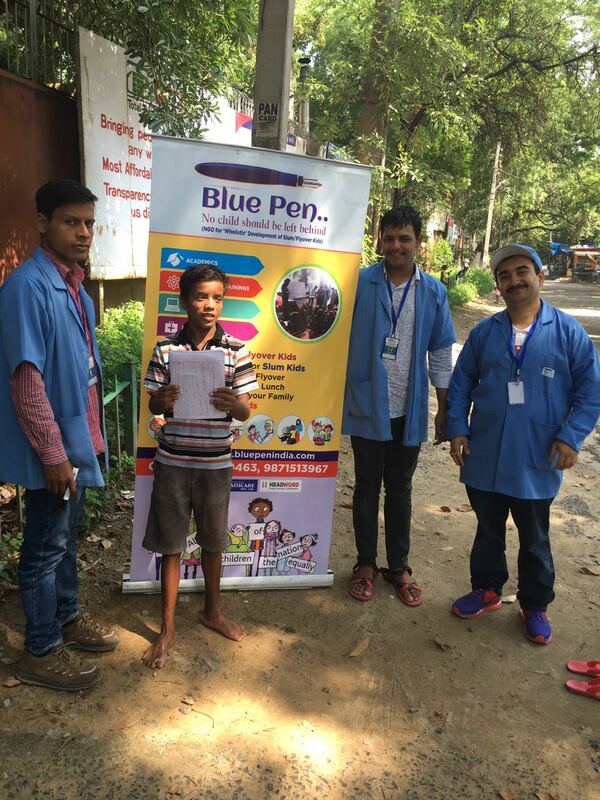 Seeing his enthusiasm to learn, we decided to place dedicated teacher Gagan, to ensure undivided attention on him during the session . Divine happiness that we could see on his face after one hour teaching session, made our day. Volunteer Gagan was simply moved. Ram loves to swing in Park. He likes eating yellow Dal, fish, and chicken. His dream is to drive own car one day and show Delhi to his widow mother. 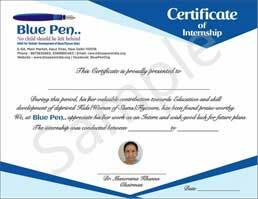 MEMORIAL SCHOLARSHIPS:- Blue Pen has launched Memorial Scholarships for young brilliant but extremely poor kids, for financial support to carry on studies. Viewers are welcome to contact us if they want to initiate “Memorial Scholarships in fond memory of their own Parents/Grandparents” and fund these child prodigies. One can imagine happiness of pulling out any kid from Dark Age of Illiteracy. Viewers will be welcome to meet and spend time with these kids. SPONSOR US / VOLUNTEER FOR 1Hr with us every Sunday to expand our operations to cover more kids of more slums…Each new volunteer helps us to cover another 20 kids.. Note:- Share’ or at least ‘Like’ our Facebook page, which tremendously helps us in locating more volunteers through social media, for expanding our flyover classes.